Ask a quick question about your invoice? More and more businesses allow you to do so through Facebook Messenger. What are the benefits of this app and why should it be at the centre of your customer service system? In 2014 Facebook separated their messaging function to create a new app: Facebook Messenger. In The Netherlands alone, it is used by over 4 million people, making it the second most popular app ever made (WhatsApp being the most popular). Over recent years, businesses have kept up with this trend, and customer services which use Facebook Messenger are becoming increasingly common. Because if business are active on Facebook, customers can be expected to contact them through Messenger. Every company has been there: having a complaint publicly posted to your Facebook page. Luckily, you can alwasy ask for a direct message (in Messenger) so you can handle the problem quickly and in a personal manner. But make sure not to always refer customers to DM straight away. Solve a problem publicly once in a while. This prevents customers and followers wondering why there are so many unresolved complaints on your page. From the customer’s perspective there are a lot of benefits to contacting a company through Facebook Messenger. No-one is eager to wade through phone menu’s and wait endlessly for an operator to become available. But even when it comes to e-mail, more and more people prefer using Messenger instead. Last year, research showed we spend more time online on our phones than we do on our pc or laptop. Mobile phones have become our most important means of accessing the internet, and 42% of people in The Netherlands alone has Facebook Messenger installed on their phone. We’re online when we’re at home, in bed or on the road. Which also means that people use their phones (while travelling for instance) to contact businesses. More and more people like to use Facebook Messenger to do so. When a company doesn’t respond immediately, there are few negative consequences (counter to the expectations of most businesses). Customers are no longer sitting around waiting for a reply, but simply continue going about their day. When a reply is sent, he or she will receive a notification on their phone. eDigitalResearch points out that the easier the means of contacting a business, the happier the customer ends up being with their service. All the more reason why businesses should keep up with recent developments. Apart from being easier, using Messenger is faster too, for both parties. Sometimes, a reply cannot be sent immediately, for example because the staff need to confer on a problem. But the actual time spent on a conversation is still a lot less than contacting a customer by phone. And it is a lot faster than email as well. How many companies do you know that reply to their emails within the hour? Additionally, most people prefer Messenger because it’s more informal. The company can see who it’s talking too (and use first names), making the customer feel they are chatting to a more caring and helpful representative. The brief chat messages going back and forth help to make a conversation feel more personal. Research also shows a correlation between customer satisfaction and loyalty. Customers who are satisfied with a company’s service keep coming back, dissatisfied customers leave. This is no surprise. But keeping customers happy to ensure their loyalty is also cheaper than attracting new customers. 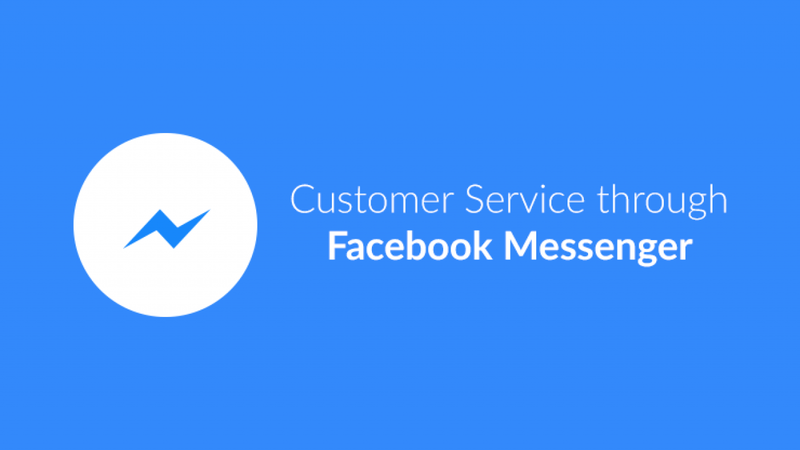 So there is every reason to invest in your customer service using Facebook Messenger. How Do Companies Do It? We’ve put it to the test and delved into our Messenger history. We didn’t need to look hard. Like many mobile network providers, Ben too can be reached through Facebook Messenger. And ‘usually replies within the hour’ turned out to be almost correct (two hours makes us more than happy customers). Our unexpected invoice was immediately looked into and a reply was soon received to explain it. ModeMusthaves is a large online store which mostly uses online marketing, and therefore also Facebook. And the more active you are on Facebook, the more questions you are likely to receive through Messenger. In this case, the answer they provided to the question of whether they could notify us when a coat became available to order again, wasn’t as helpful as we hoped for (and voiced in a less friendly way than we’d expected). But they did respond quickly: query sent late at night, reply received first thing in the morning. And although we’d have been happier with a new coat, we were at least satisfied to receive an answer so quickly. To sum up, there are plenty of reasons to make Facebook Messenger a part of your customer service strategy. People spent an increasing amount of time online on their phones, a large number of people has the app and most people prefer to be able to reach a company more easily. Apart from being fast, Facebook Messenger is also more personal, a combination tailored to keep your customers happy. And happy customers are essential to a succesful business! Telegram, also known as the biggest competitor to WhatsApps. How many users does the messaging service actually have? 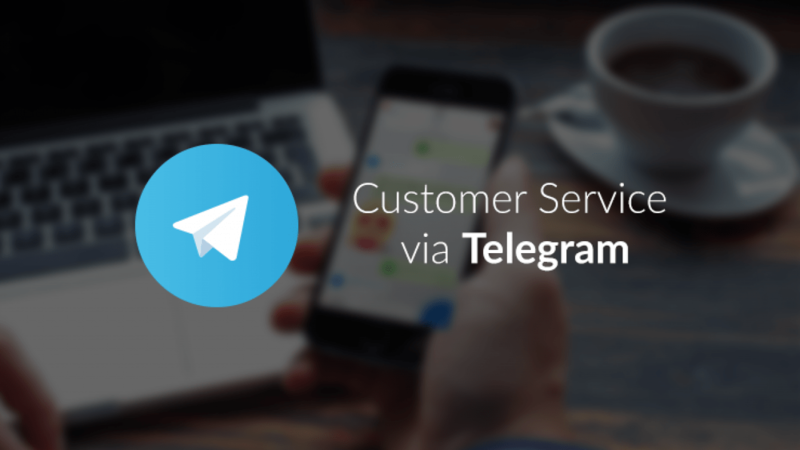 Why would you want to provide customer service via Telegram for your business?